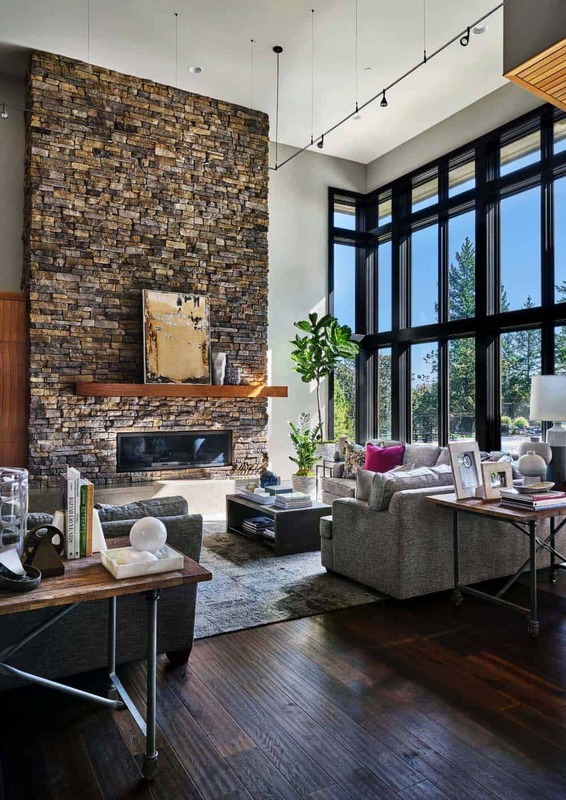 This striking contemporary family home was designed by Garrison Hullinger Interior Design, located in Happy Valley, a city in Clackamas County, Oregon. 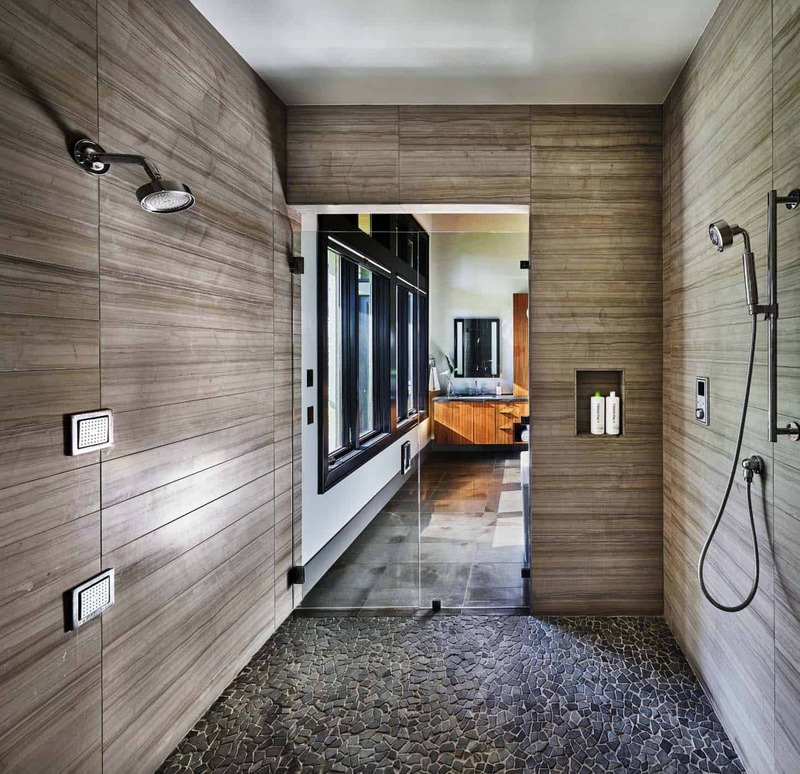 The homeowner’s desired a spa-like atmosphere, inspired from a vacation at a spa in Newberg, Oregon. 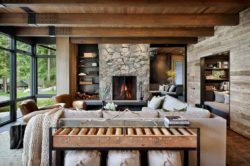 They appreciated the comfort, simplicity, and modern feel of the space and wished to incorporate this aesthetic into their new home. 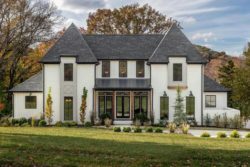 Designed with durable materials to stand up to the day-to-day messes of a house full of kids and a puppy, this newly developed home is tranquil, beautiful, and made for family living. 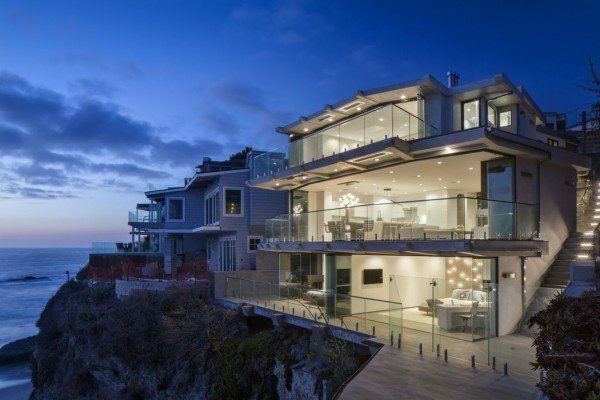 The design of this home captures the beauty of the surrounding area thanks to expansive windows integrated throughout. 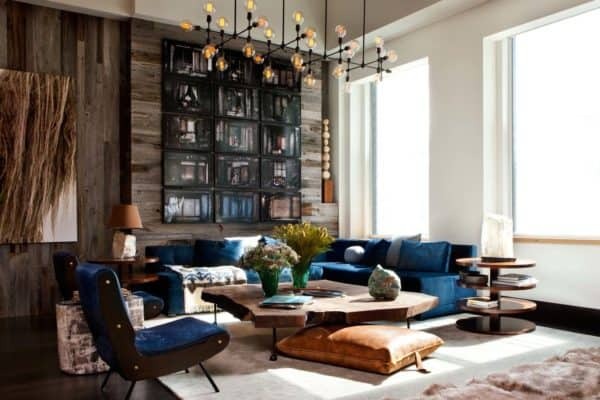 Above: Beautiful wood finishes have been used in every room, you can see a great transition of different species. 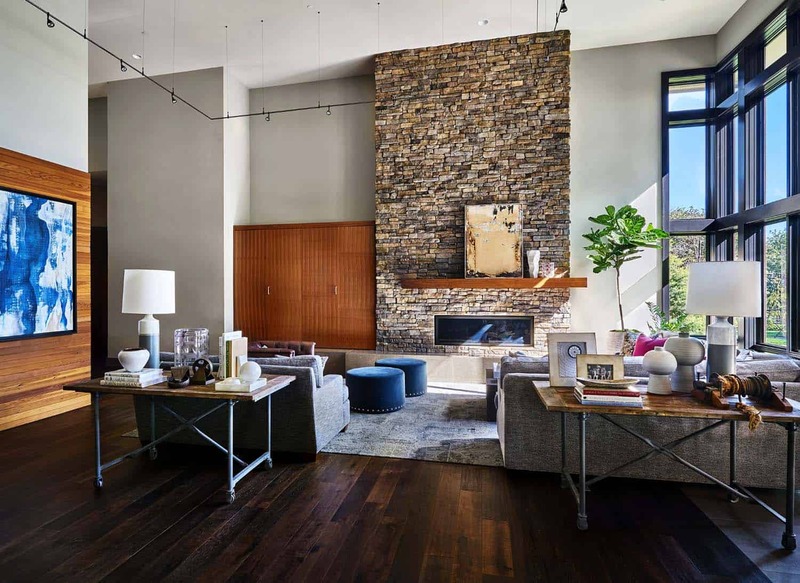 What We Love: Savvy space planning in this contemporary family home offers plenty of cozy gathering spaces despite the home’s expansive square footage. 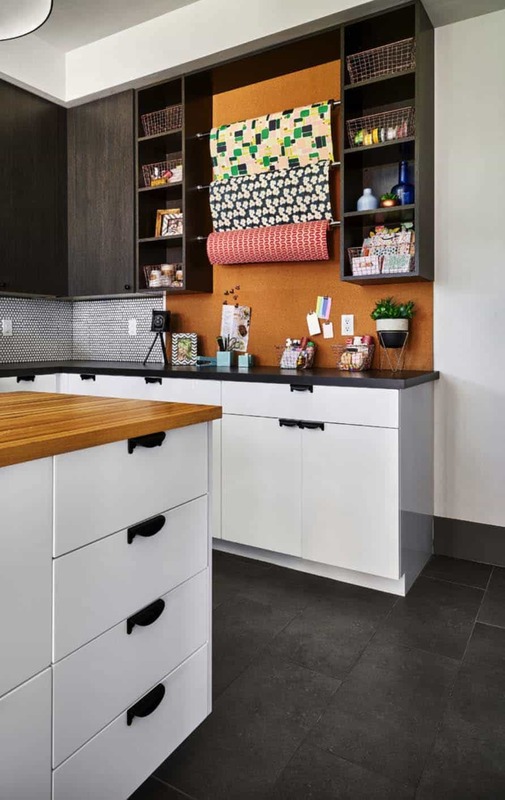 The combination of laundry and craft room provides the perfect spot to multi-task, where the family can work on projects and school work while the laundry gets done… Readers, please share with us what details in this home you found most inspiring and why in the Comments below! 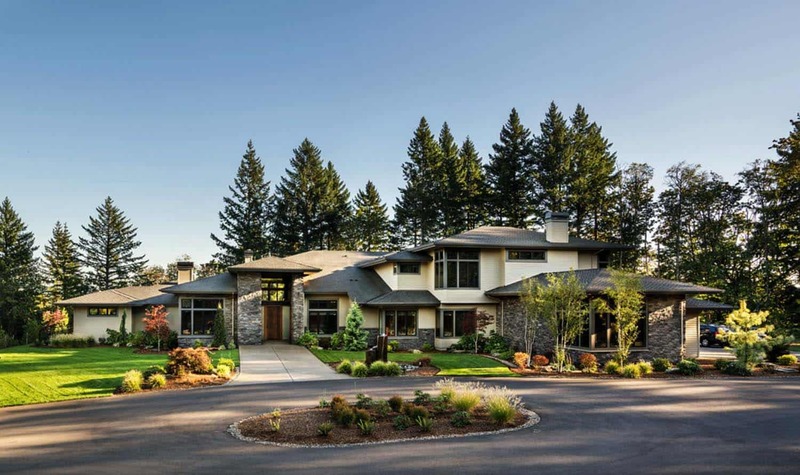 Note: Have a look at a couple of other amazing home tours that we have featured here on One Kindesign from the portfolio of Garrison Hullinger Interior Design: Contemporary rustic farmhouse with stunning living spaces in rural Oregon and Sumptuous Colonial home with traditional details in New Cannan. The home has plenty of space to entertain, including an outdoor living space that can be used year round. 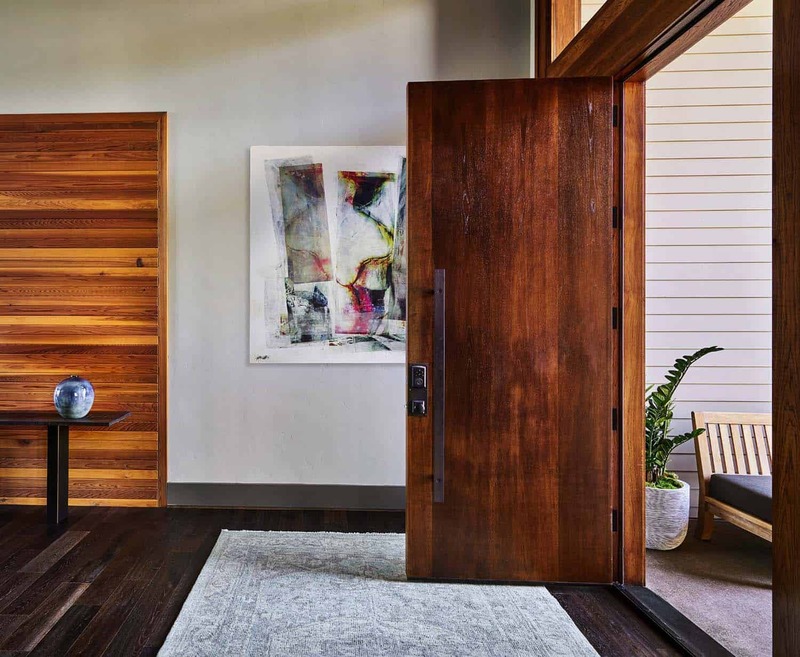 By getting to know the homeowner’s, the project team was able to design a home that is both a tranquil escape from the “real world” and a contemporary space that simplifies the day-to-day bustle of family life. Above: The project team was challenged to create comfortable and warm living spaces amongst the gigantic windows taking in the views. 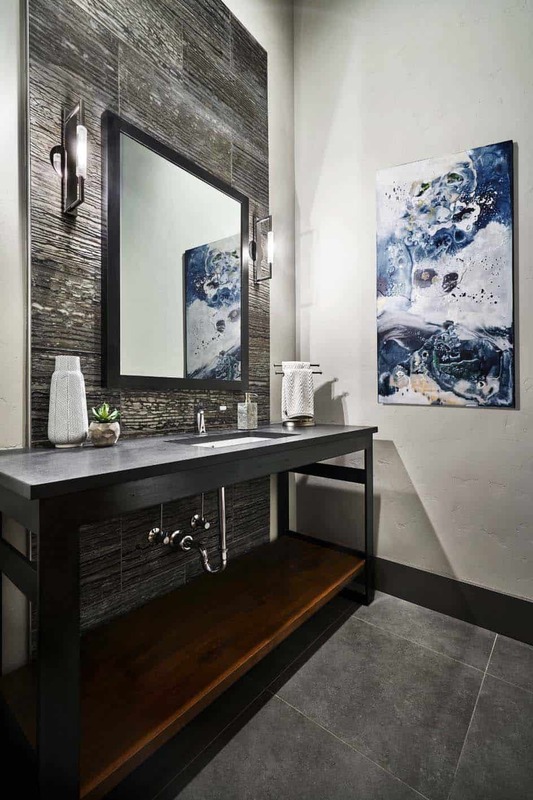 Above: Guests should feel like they are in a beautiful art gallery in an urban setting when visiting the powder bathroom. 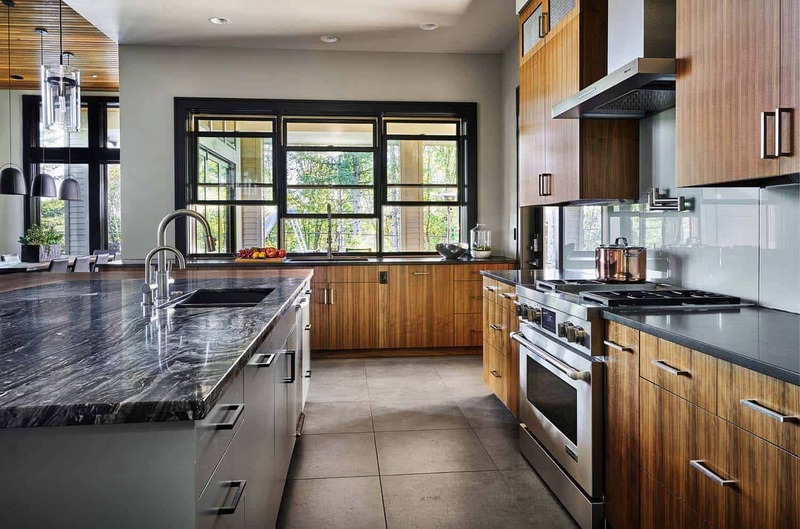 Above: Vertical grain cedar is used in the dining room, mimicking the lines of the exterior tongue and groove soffits. 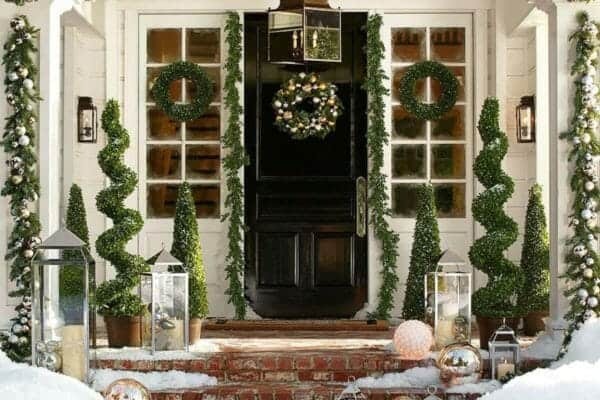 This helps to infuse the space with warmth. 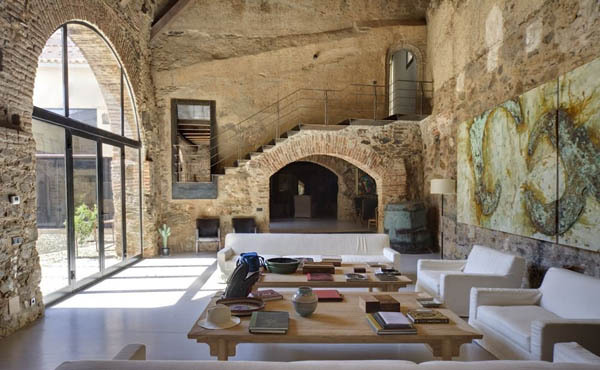 The flooring material was changed in this space to allow for a seamless transition between indoor/outdoor spaces. 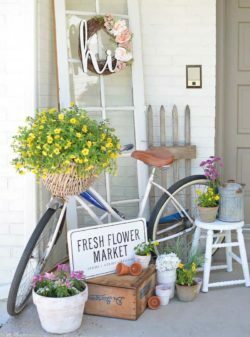 This family loves to cook together and host large parties both indoors and out. 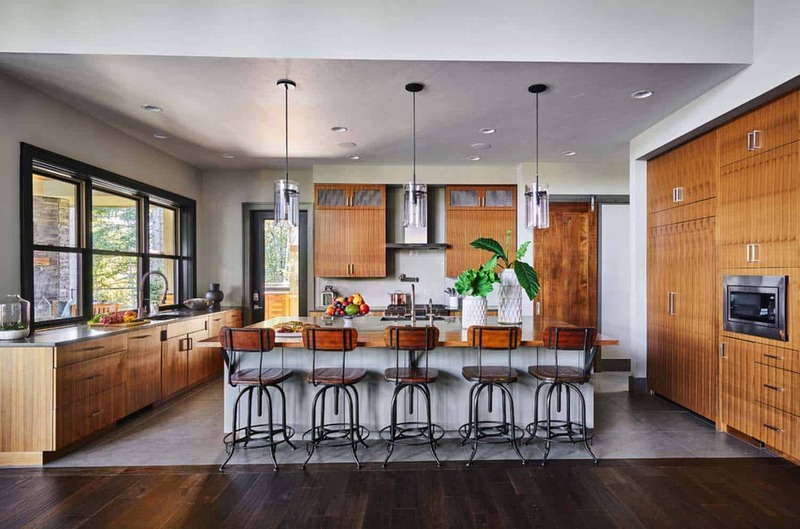 Several zones were created within this kitchen to allow for each person to participate, yet not be in each other’s way. 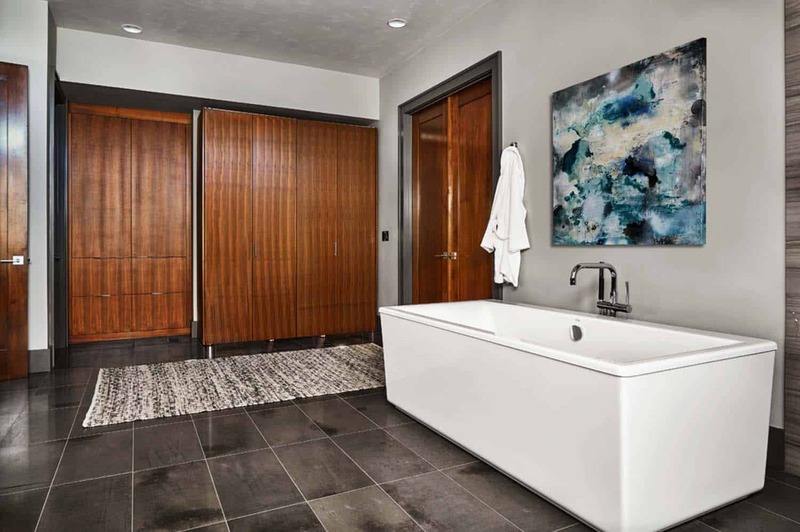 Above: This luxurious full bathroom is adjacent to the home gym and expansive family room. The family wanted the space to feel updated and urban but yet have added warmth thanks to the beautiful walnut floating cabinet. Above: This family loves doing craft and school projects together. 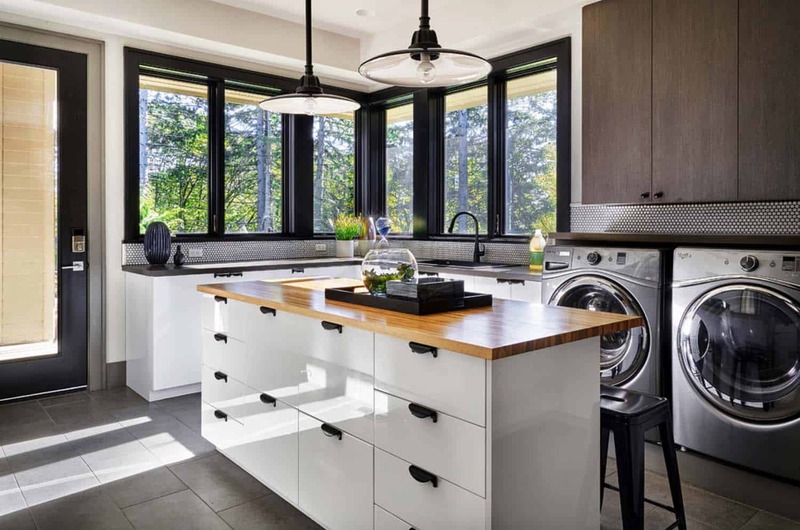 This space also provides the opportunity to link the outdoor spaces and the laundry to reduce the steps to keep up with those wet towels. There is also a family recreation room in this home, which offers an intimate space for the kids’ slumber parties. Above: The master bedroom suite was designed to allow the homeowners to escape from their daily life. To enjoy the quiet moments and the beauty of their surroundings. 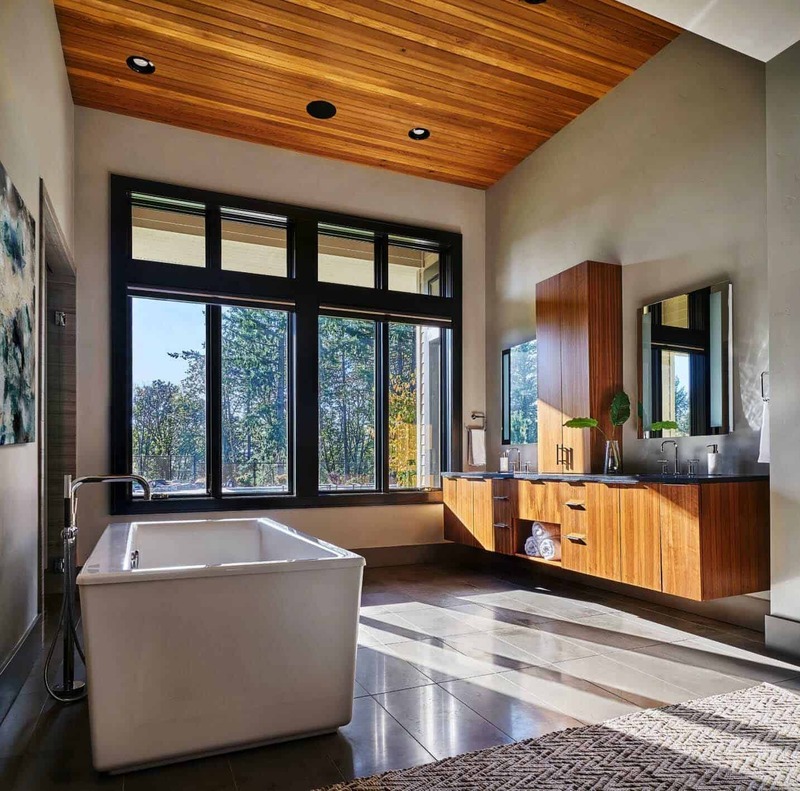 Above: This spacious master bathroom has plenty of warmth thanks to the cedar planking on the ceiling that was also used on the outdoor soffits. A free-standing tub provides plenty of space without feeling cluttered. 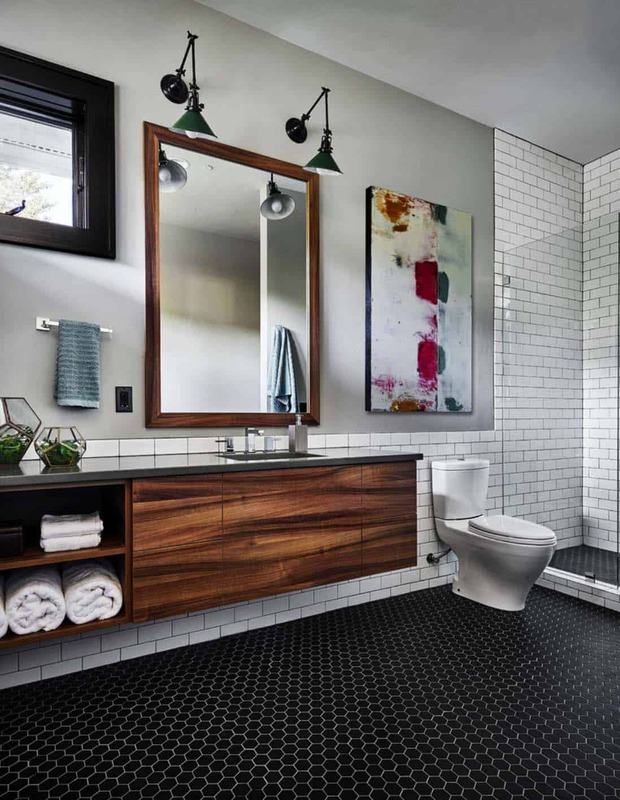 An enormous amount of organized storage has been integrated into this bathroom. 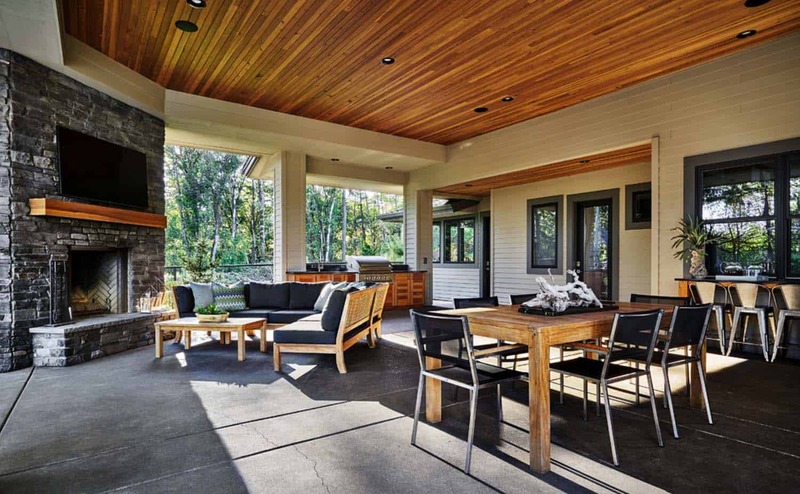 Above: Having a covered deck in the Pacific Northwest is key to enjoying your space through the majority of the year.